We have had the mildest winter in Maine that I can ever remember. Even so, I still have big cravings for fruits and vegetables. 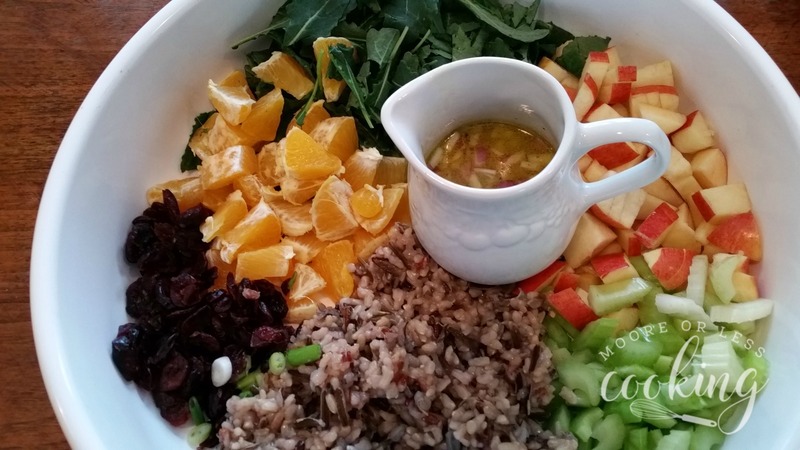 I created a Baby Kale, wild rice, fruit and veggies salad for our #SundaySupper. This salad can be eaten as a main course or a side salad. It’s so easy putting together a large salad for a group or gathering, just give yourself time to prep and chop the vegetables and fruit. This salad is vegan and gluten free. It would also be great with goat cheese or cheddar cheese and some nuts, keeping it vegetarian. Dress the salad with a delicious citrus vinaigrette before serving. I need color in my life, and I just love the look of this salad. There are so many different flavors and textures and crunch in this salad. I thought a light citrus vinaigrette would be a perfect match. Pour dressing over salad and toss. Serve and enjoy! In a large bowl place all of the ingredients in sections. In a small bowl whisk together all of the vinaigrette ingredients.Pour into a a dressing container. Cover with plastic wrap and place in refrigerator until ready to serve. Pour the vinaigrette over the salad and toss together just before serving. This is my first week joining my friends for #SundaySupper. Make sure to check out all of the delicious winter salads being shared today. YUMMO!!!! This sounds really good!!! Gorgeous salad Nettie, love the viniagrette you made. 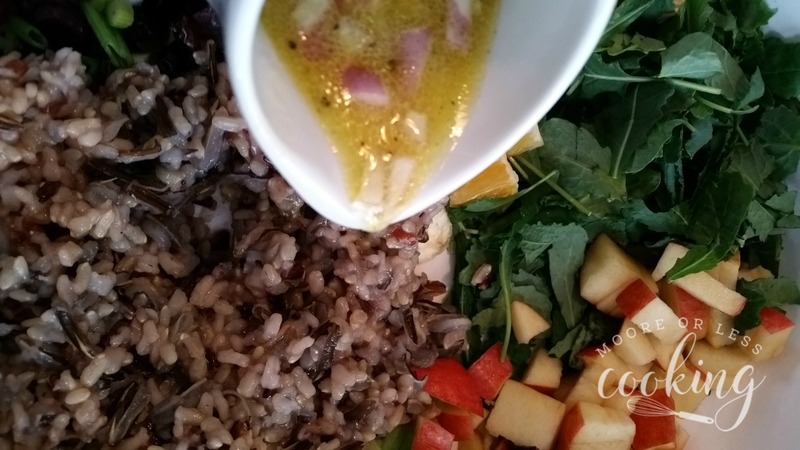 Love wild rice in salads – sounds a tasty combination! I love all the goodies you put in this salad! Deliciousness in every bite!! What a great combination of ingredients! Mmmm mmmmm. Brightens up a dull month. I love the addition of rice in this salad! Makes it so hearty! Love this! This is the perfect lunch salad. 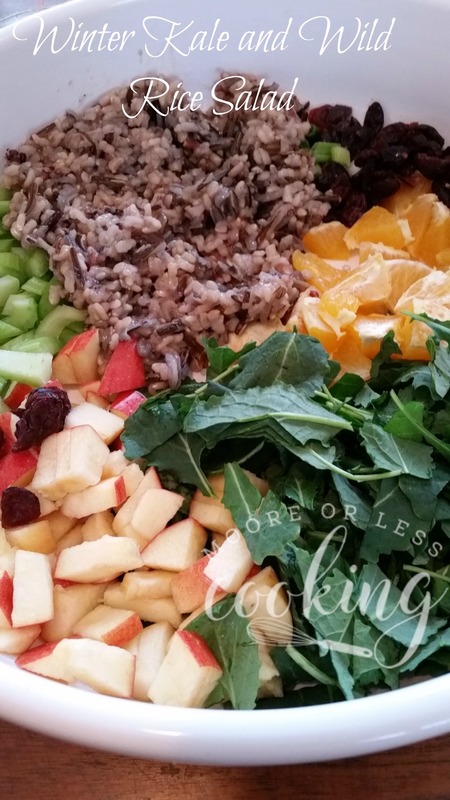 Love all those fruits with the wild rice!